US Secretary of State Mike Pompeo on Tuesday renewed calls on Pakistan to curb extremists fighting in Afghanistan, saying Washington was holding its uneasy war partner accountable. 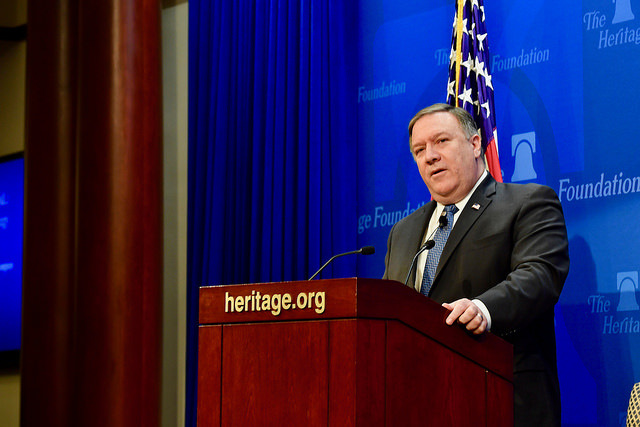 “Our expectation is that Pakistan will not provide safe harbor to terrorists on their western border,” Pompeo told reporters when asked about Islamabad’s role. “Everyone wants a reconciliation in Afghanistan and to achieve that, you can’t have a safe harbor for Taliban, for Haqqani and for others inside of Pakistan,” he said, listing extremist movements fighting in Afghanistan. President Donald Trump’s administration last month cut $300 million in military aid to Pakistan after years of US complaints that Islamabad has kept nurturing ties with militants that target both Afghanistan and rival India. A Taliban delegation earlier this month met in Qatar with a US envoy. Pakistan’s new Prime Minister Imran Khan is a longstanding supporter of negotiations to end the war in Afghanistan, where the United States has been deployed since 2001.